Welcome to the world of amyloglucosidase. 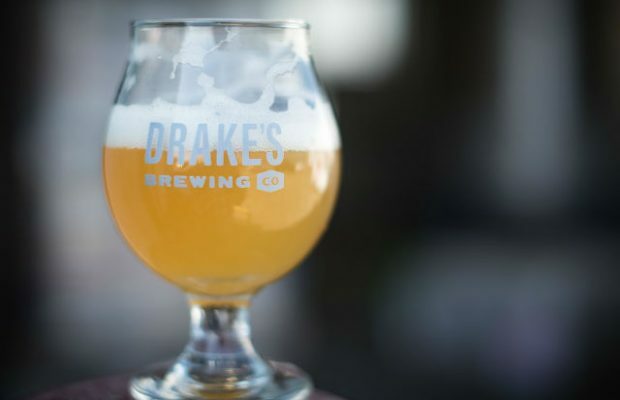 This enzyme is a new ingredient for brewers that are into experimental beers and with IPAs still being the top seller for most craft breweries, the new Brut IPA style is something in the back of brewers minds across the country. A dry, bubbly IPA akin to hoppy champagne, Brut IPAs are still very new, but have been showing up in taprooms from west to east coasts and in between. 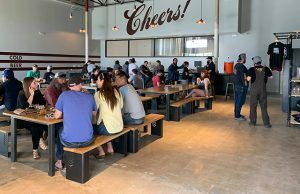 It’s still a very niche product that pilot brewers are trying for fun after being the brainchild of Kim Sturdavant in San Francisco’s Social Kitchen & Brewery. Based mostly on Untappd reviews, it seems like people either love it or hate it, said Rohrbach‘s Joel Will. “I find [that] tends to be the case with new or experimental styles,” he said. Will created “I Am Broot!” for the Rochester, New York brewery. “Luckily, it seems that the majority seems to be enjoying it,” he said. Will used it for one of the courses during the brewery’s monthly food & beer pairing at the brewpub and he said he got really positive feedback from both IPA lovers and those who don’t usually drink them. Batinski feels Brut IPAs are absolutely a sustainable style. 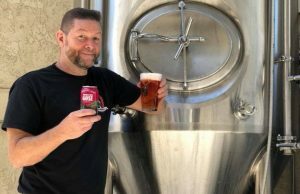 “IPAs and hoppy beers are tried and tested in America, they are here to stay, it’s just a matter of what the next trendy hoppy beer is,” he said. Steven Pauwels, a brewer for Boulevard, said they were working on another project where they are using amyloglucosidase and in talking to their technical sales rep, he told them about the new development of Brut IPAs, which led to Boulevard trying their hand at it. “Making dry, highly-carbonated beers always catches my attention,” Pauwels said. 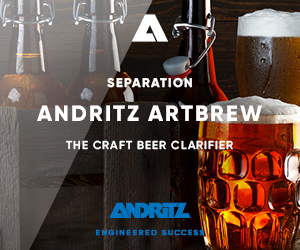 “The high carbonation is a challenge for serving the beer properly,” he added. “I expected it to be a problem but we are able to pour this on a regular tap. The carbonation is 3.25 vol. I’d like to push this higher when we decide to make another one and see how far our serving system can handle it. Boulevard used amyloglucosidase in the mash. 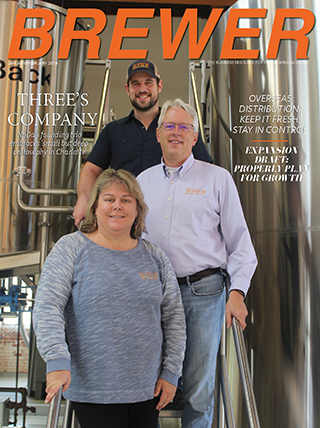 Along with making a batch at Boulevard, Pauwels said he worked with the team at WeldWerks in Colorado on a collab Brut IPA that switched up the technique of the enzyme. Drake’s Brewing added the enzymes to the fermenter. Tsukada, along with head brewer Graham With knew very little about how wine yeasts work with beer wort, so they discreetly guesstimated what strain of yeast, fermentation temperature, pitch rate, wort composition and such to work best. “The white wine yeast strain we choose fermented maltose-rich wort surprisingly well even before enzyme addition with unique fruity flavor profile,” Tsukada said. Overall, Will was really happy with how the beer came out for Rohrbach. He noted that he tried to be careful about bitterness and keep the IBUs low when he put together the recipe. “I knew that it would be more noticeable with how dry the style is,” he said. “I’d say I still underestimated that. Despite only being 30 IBUs, the beer still has a more assertive bitterness than I had expected. So far, there have been no technical problems for Hi-Wire. 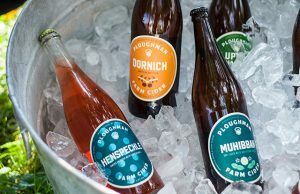 “You just need to be mindful of IBUs as they really come screaming through,” Batinski said, who added that in terms of improving upon the creation, he’s having fun with it by adding different hops. ← Previous Story Where Does A Proper Sales Force Start? 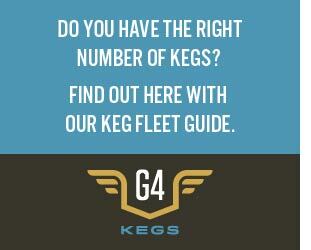 A few weeks ago, Kim Sturdavant answered a bunch of primarily technical questioned regarding Brut IPA at the SF Brewers Guild Meet the Brewers night. I took a video that night and I finally got around to writing some notes from the Q&A. For instance, in contrast to Parallel 49, Sturdavant does _not_ like to use wine yeast because of the neutral profile.